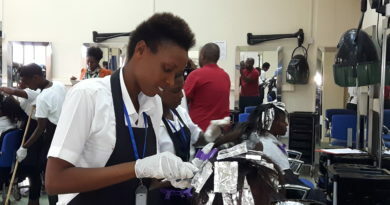 Over 1,500 students from the University of Kigali have graduated, some with undergraduate, post-graduate and Masters’ degrees, and have joined labor market with assignment to contribute to the community and national development. The latest number has increased to 7,000 graduates since its inception in 2013. 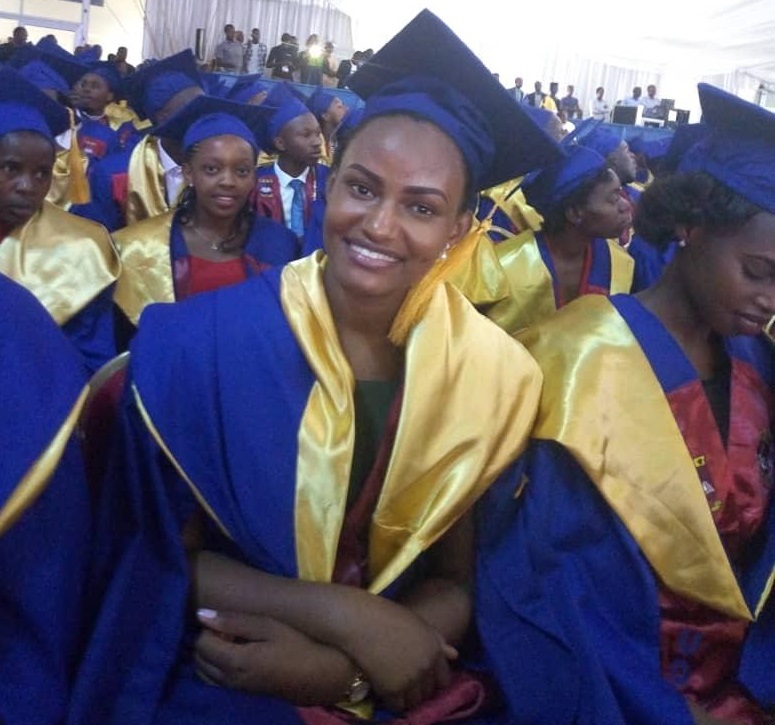 The total of current graduates is 1,524 , including 780 who completed their post-graduate studies, 150 in masters and 594 in bachelor’s programme. 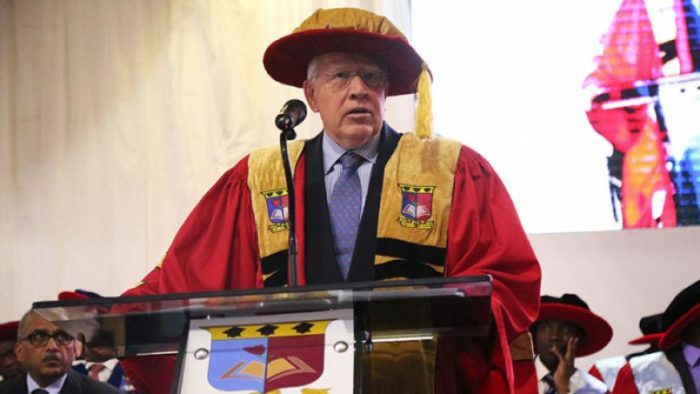 Professor Valerio De Luca, UoK Pro-Chancellor recommended graduates to put their degrees to good use for the benefits of themselves, their families and the country in general. Chancellor gives his remarks during the event. 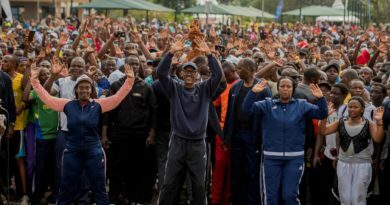 He commended the efforts of the Government of Rwanda that is spearheaded by His Excellency Paul Kagame in driving education of Rwanda to the success, investing in Education to transform the country which contributes to national, regional and Worldwide economic development. 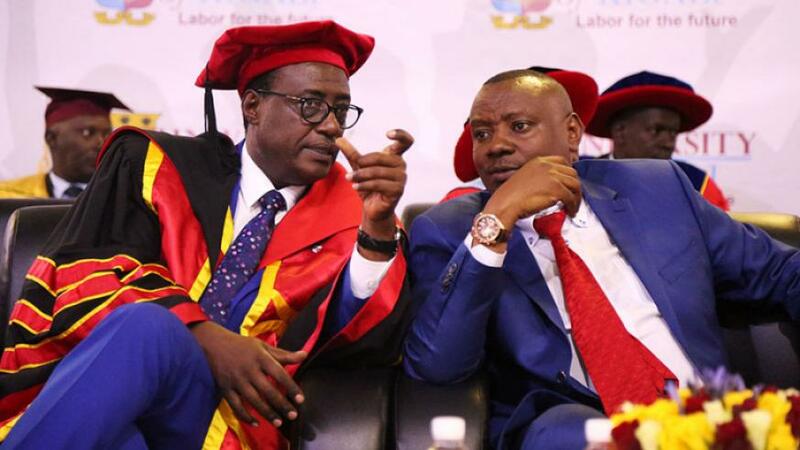 The State Minister for Primary and Secondary Education, Isaac Munyakazi congratulated the campus for achieving the fourth graduation, saying that investing in knowledge generation is the best choice everyone can aspire to do. He noted that knowledge helps graduates to be competitive at the labour market and that quality education is a holistic input to attain that. 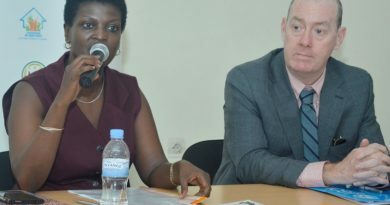 “PhD Programme that the University of Kigali introduced will help in reducing the number of Rwandans who used to seek for this degree abroad,” he said. Prof. Manasseh Nshuti, Co-founder & Chairman of the Board of Promoters of UoK warned the graduates not to be ignorant intellectuals. Prof Manasseh Nshuti , the chair board of promoters chats with Minister of State in Charge of Primary & Secondary Education Isaac Munyakazi during the event (THE NEW TIMES). 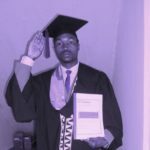 However, some of the graduates especially those holding bachelor’s degrees say the assignment is quite difficult for them as they still face challenges in term of creating their own jobs due to lack of financial start-ups. 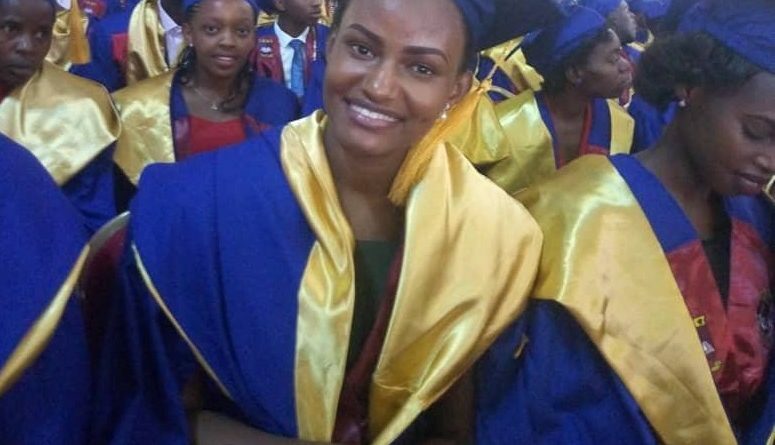 Jeanne Mukasine, one of the graduates who got her bachelor’s degree in Business Management and Economics (MBE) told The Inspirer that despite the labor market is small for all graduates she will not give up to think of creating own business. Some graduates during the graduation ceremony. She has pointed that, “one major challenge to start the own job is financial start up since the banks requests them having collateral, which is not easy to afford after graduation”. Simon Nshimiyimana, a post-graduate in Education from this campus said that even if he has a job, others are still facing challenges in getting jobs. “The labor market wants graduate to create jobs. This requires graduates to use the acquired skills. 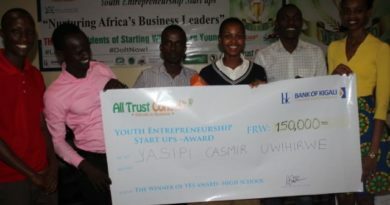 Start-up capital is a challenge because graduates only have skills but they need financial capital, which is the second important thing besides the skills we have, so, we need financial start up to be able to transform the skills into solutions to problems we have,” Nshimiyimana said.